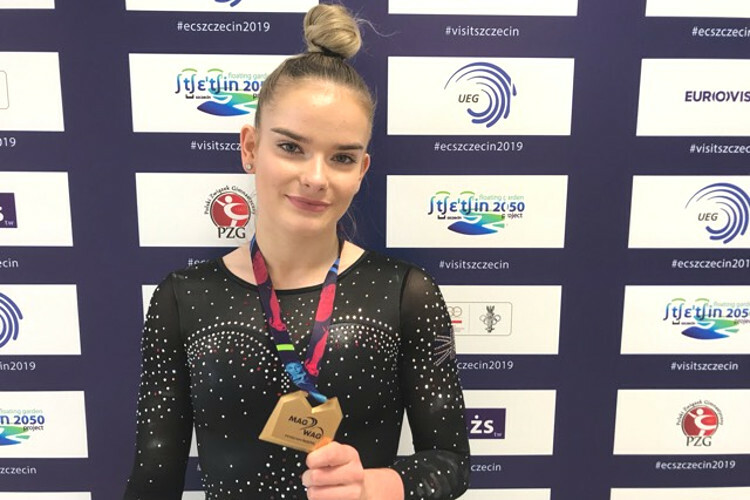 Alice Kinsella has made history winning Britain’s first ever European beam gold on the last day of the 2019 European Championships in Szczecin, Poland. Commonwealth champion Alice Kinsella (Park Wrekin) produced a beautiful beam routine combining acrobatic skills and well controlled leaps and spins, the one wobble she had mid routine she coped with well and her dismount was nailed to score her 13.566 points and give her her first European medal – the gold. Straight from the medal podium Alice then headed to the floor where she produced another great routine scoring 13.100 to finish in 7th. Claudia Fragapane (Bristol Hawks) returned to the GB team after a year out with injury and joined Alice in the floor final. 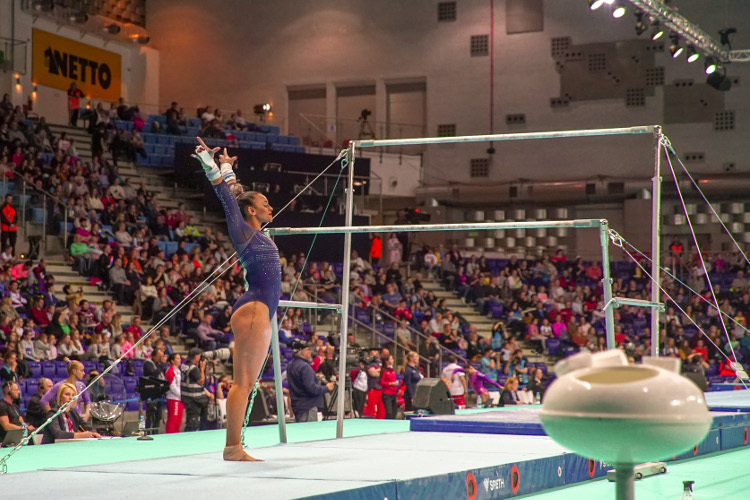 She demonstrated all her trademark power and skill with huge tumbling passes, unfortunately she stumbled backwards slightly on one pass, the score of 13.366 placed her 5th. Courtney Tulloch (Pegasus/Maidstone) was the first gymnast to compete in the vault final. He went for big routines knowing he had to take a risk in order to try and push up the standings. Unfortunately, he couldn’t control his landings on each pass which restricted his score to 13.383 and place him 8th. 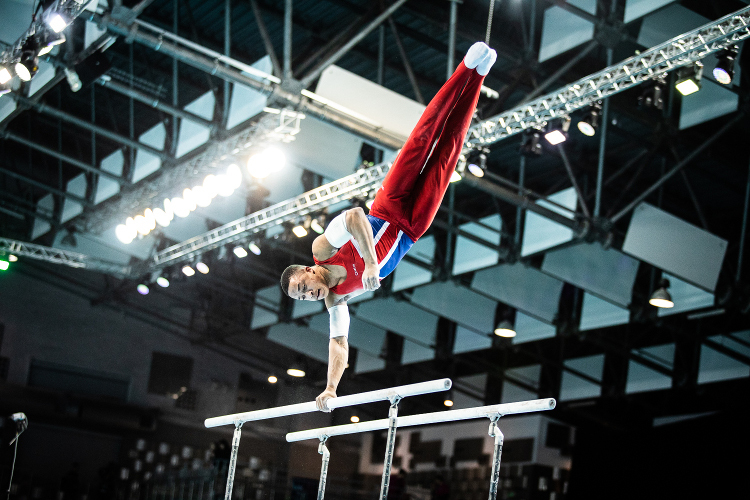 Brinn Bevan (South Essex) produced a great parallel bars routine in his final, Brinn showed lovely work swinging across the bars and his stuck dismount was greeted by big cheers in the crowd and a fist pump by Brinn, his score of 14.533 putting him in 7th. 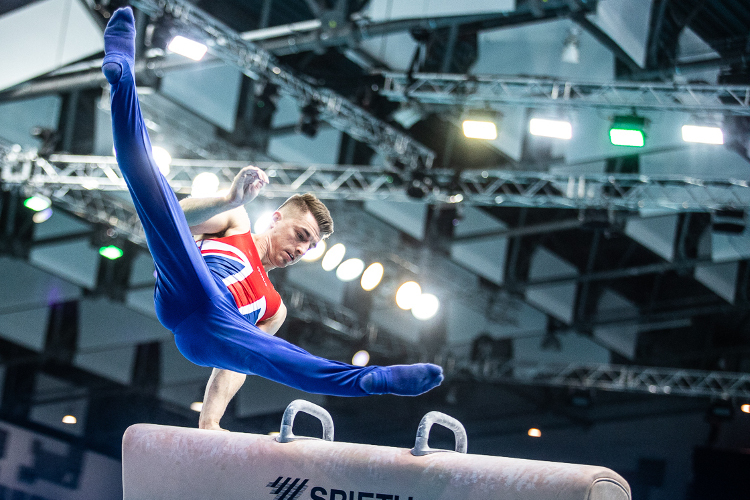 James Hall (Pegasus/Maidstone) was the last GB gymnast to compete. 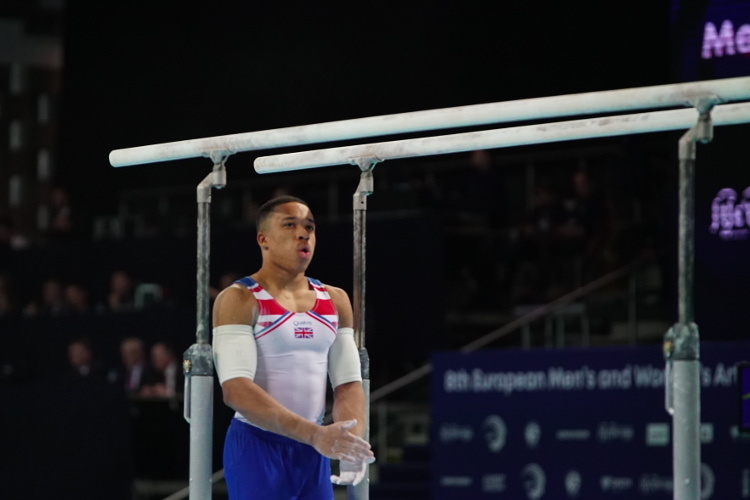 Unfortunately, he fell from his first release and catch move in the high bar final, James was attended to by his coach and medical team and as a precaution didn’t complete his routine, he saluted the crowd and walked from the podium.